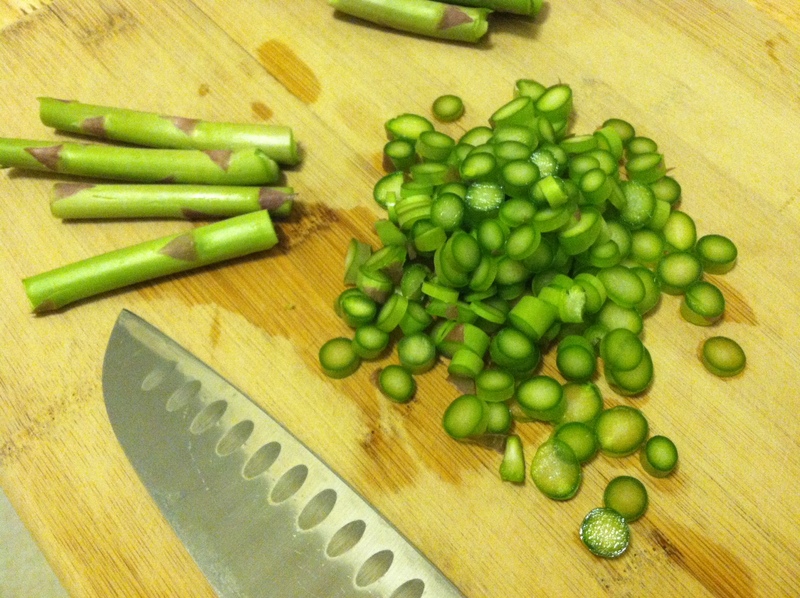 The first step was to store the asparagus well, especially since this would be a busy week for me and I knew I wouldn’t have much time to cook. 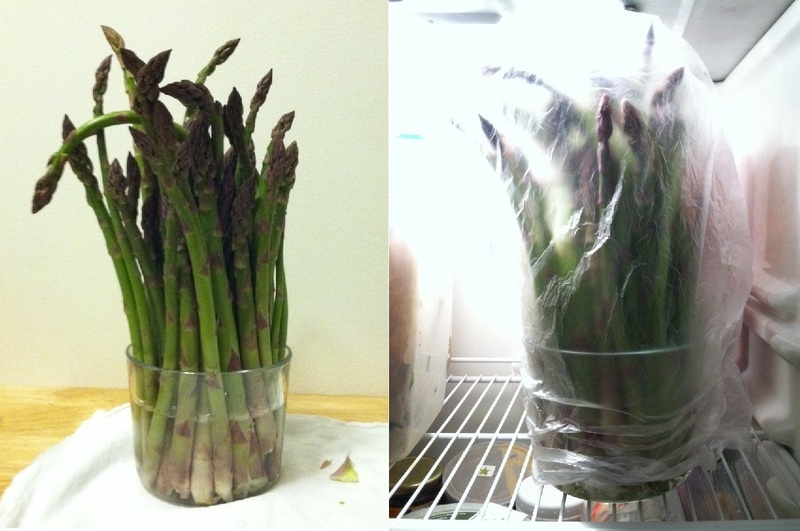 I stored the asparagus like a bouquet of flowers—upright in a glass storage container with water—in the fridge and covered loosely with plastic. 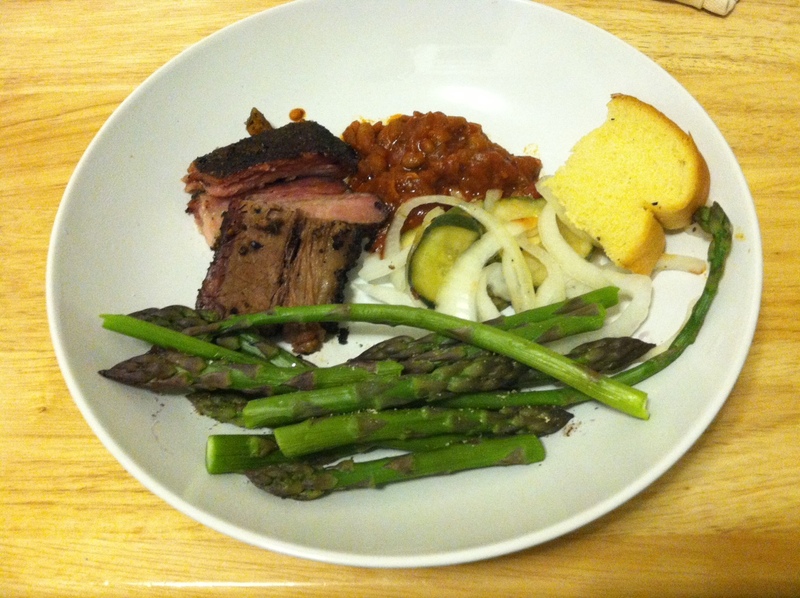 For dinner that night, I didn’t use the asparagus but did use a bunch of goods from the winter season that I had defrosted for the night before but ended up not cooking: pork sausage, collard greens, cauliflower. 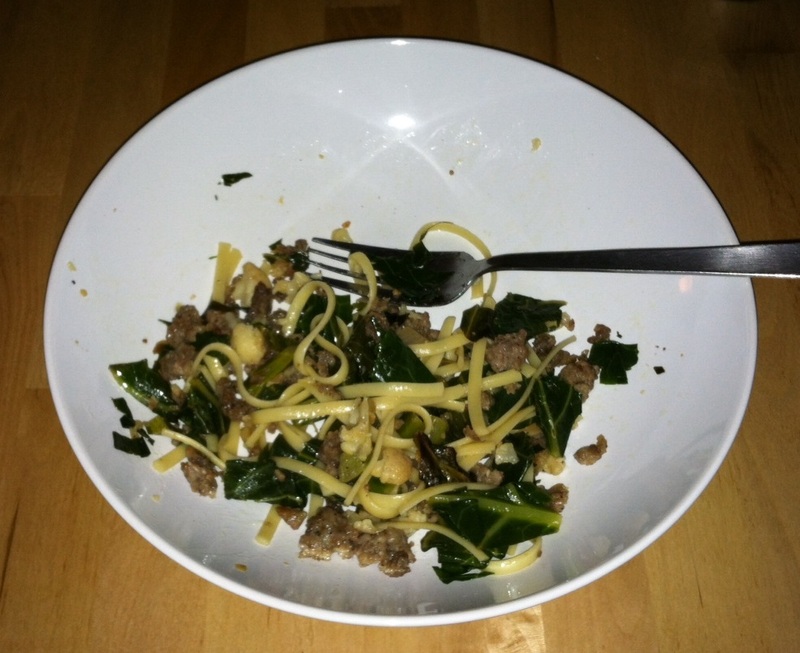 Made for nice, hearty pasta dish. 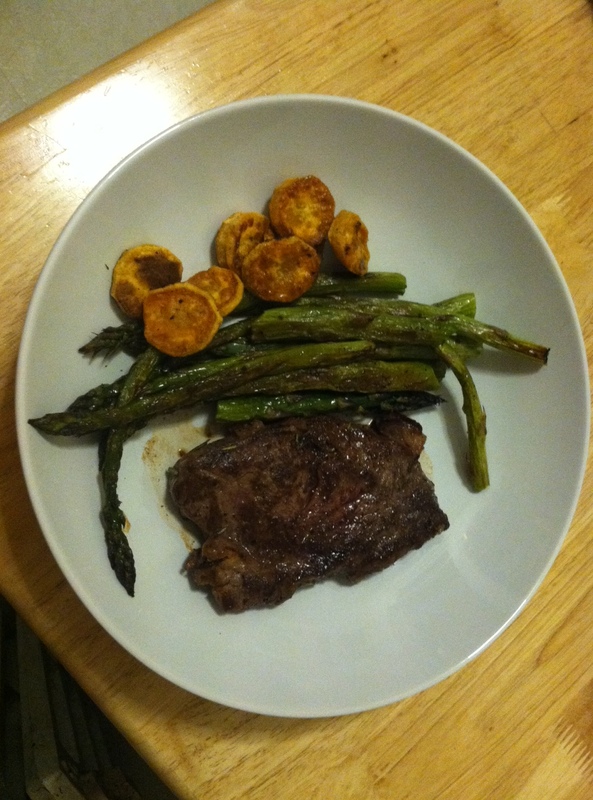 The next night, I made a quick meal of beef tenderloin steak (from the winter season) and roasted asparagus and sweet potato. 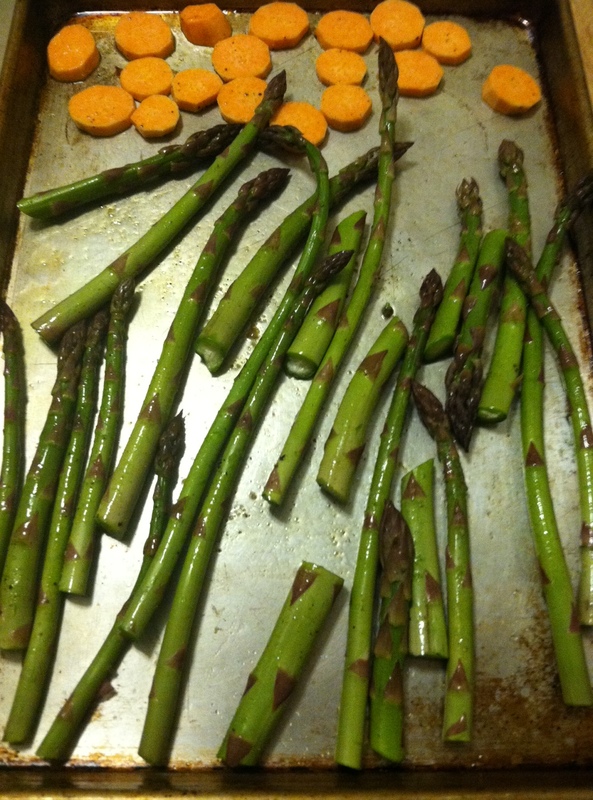 Tossed the veggies in olive oil, salt, pepper, and rosemary; roasted at 400 degrees for maybe 20 minutes, tossing/flipping once halfway. 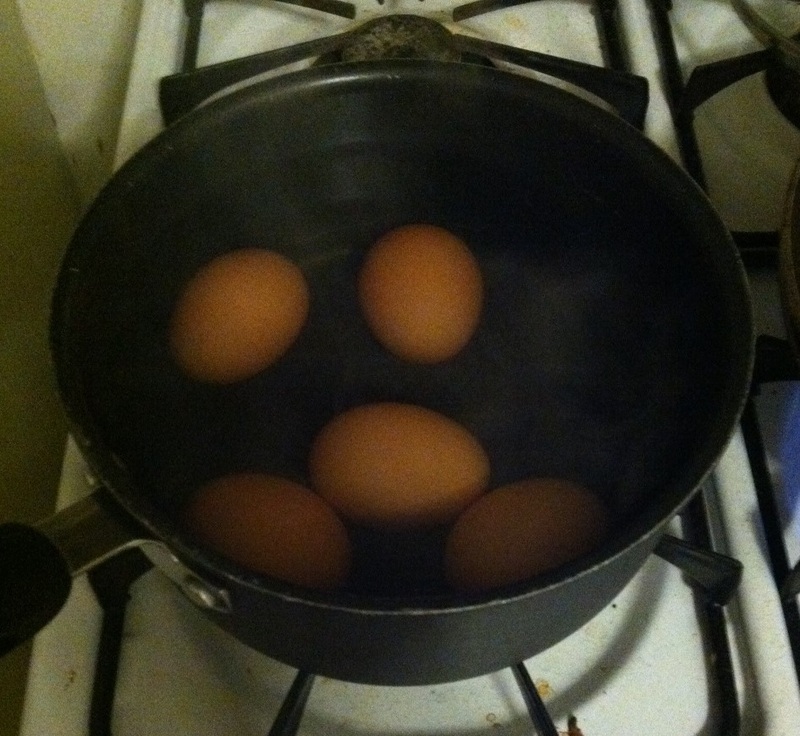 While the veggies were roasting, I boiled some eggs to have for breakfast/snacks for the next few days. 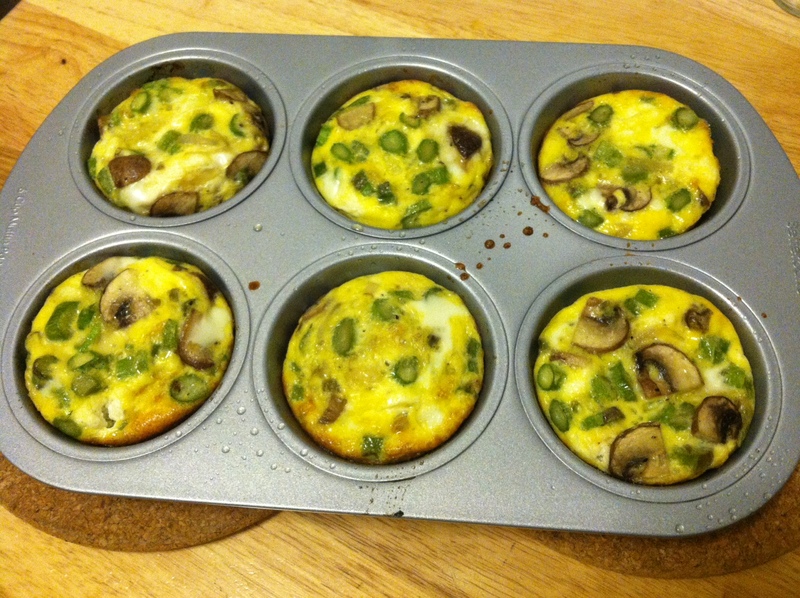 …and chopping up the bottom halves for little muffin-tin omelets for breakfast for the next couple of days. 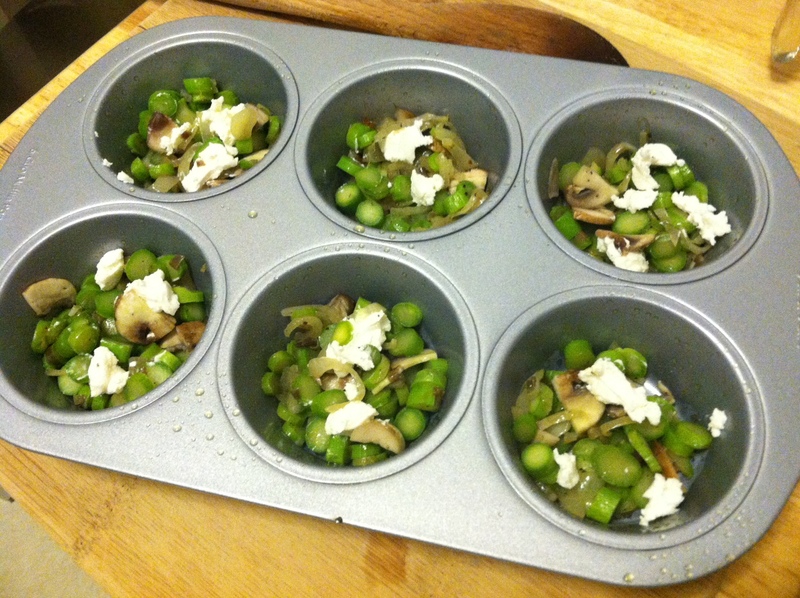 I used this loose recipe and made mine with asparagus, mushrooms, shallots, and goat cheese (and milk instead of half-and-half). This was my first time making these, and it seems like it would be a great way of using up small amounts of veggies or leftovers that might otherwise go to waste: that half an onion, or the two stalks of kale that look salvageable out of the bunch you forgot you had, or the strip of bacon you took out of your breakfast sandwich to attain your preferred bacon-to-egg ratio. 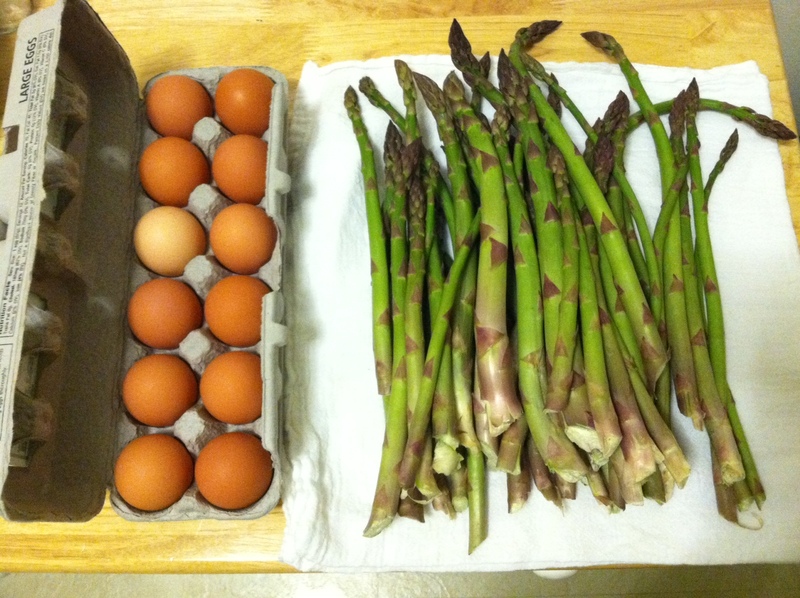 After one week, I have used all the asparagus and all but one of the eggs, and we have some cute omelets to eat or freeze. I think that’s a success!